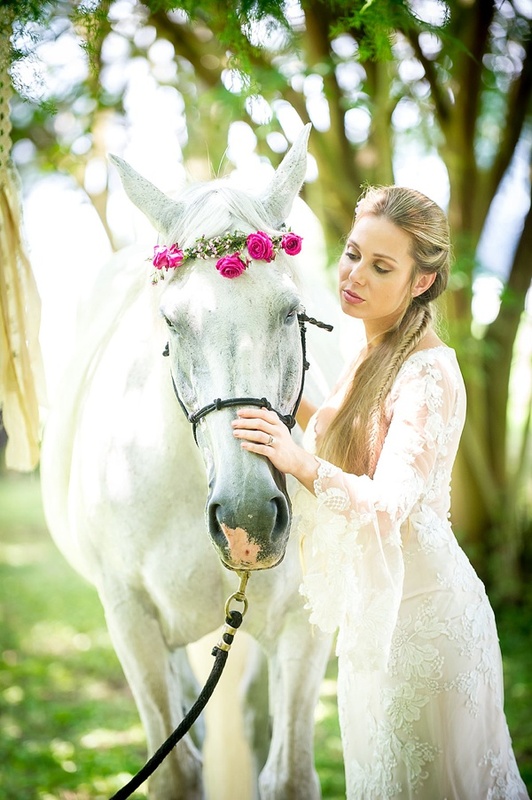 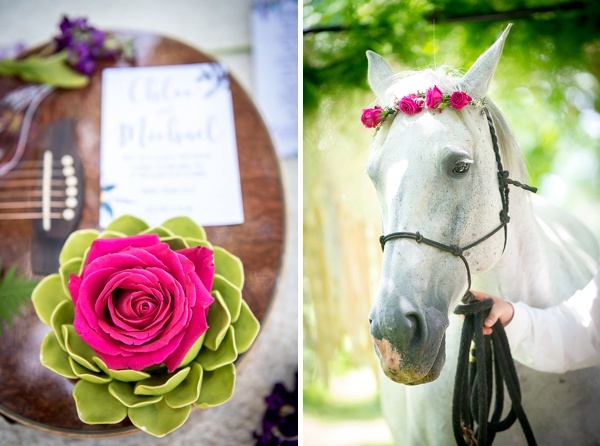 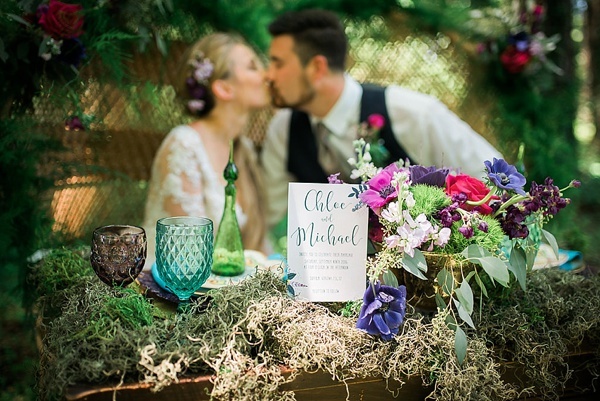 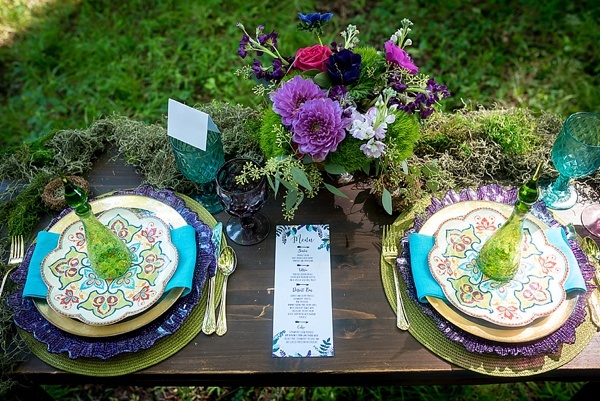 Inspired by peace-lovin' woodland vibes, this hippie chic inspiration shoot is far out! 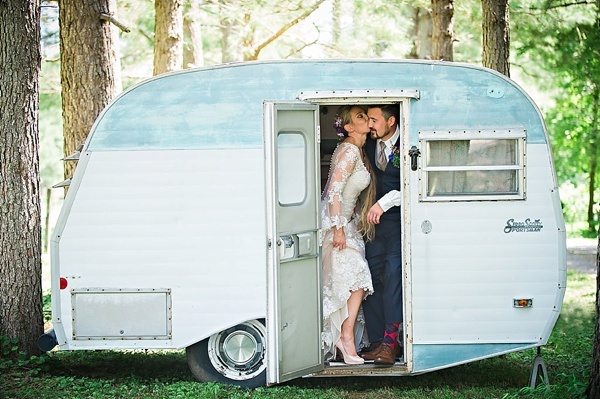 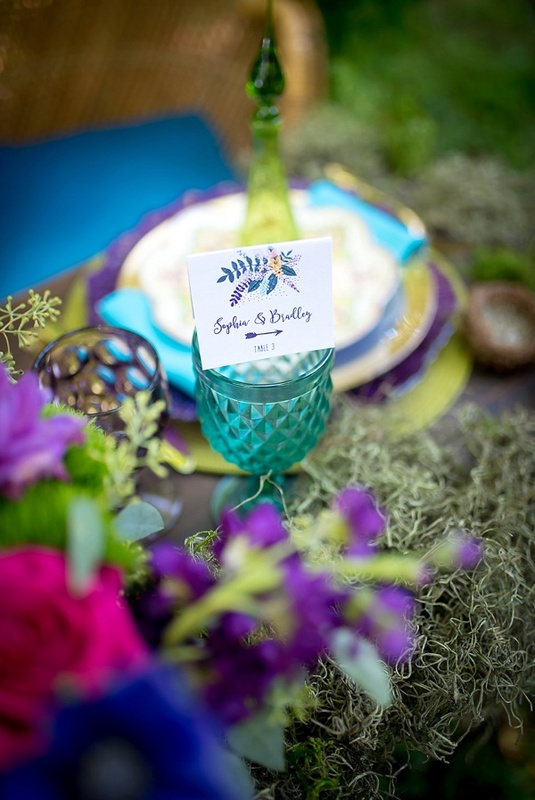 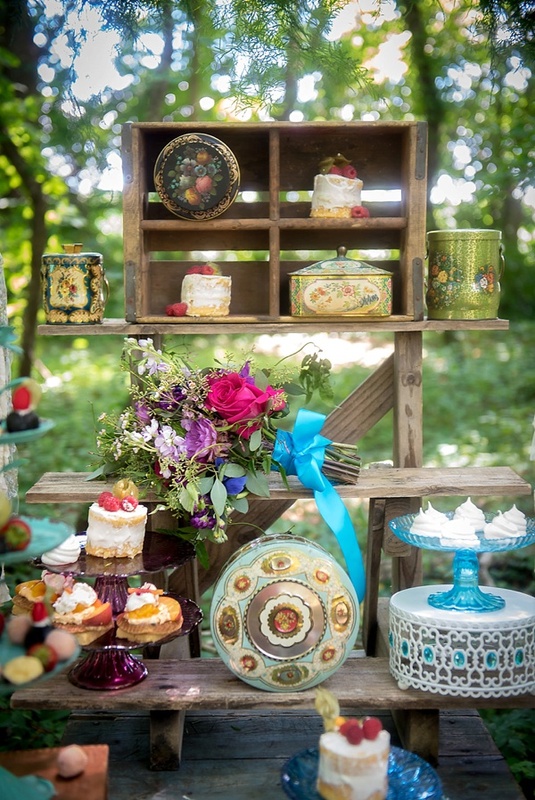 With vibrant colors paired with deep plum purples, an adorable aqua-and-white vintage camper, and a dappled gray horse adorned in a flower crown, everything sets the scene for a romantic and laid-back celebration in the woods. 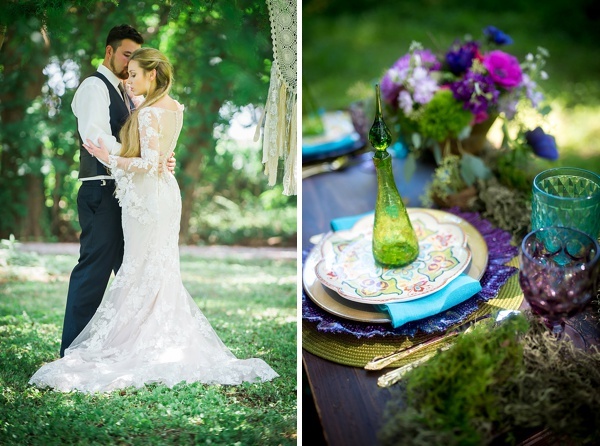 Between the delicate lace bell sleeves on the bridal gown and the modern psychedelic-patterned plates, this creative team channeled all the best things about the 1970's into contemporary wedding aesthetic. 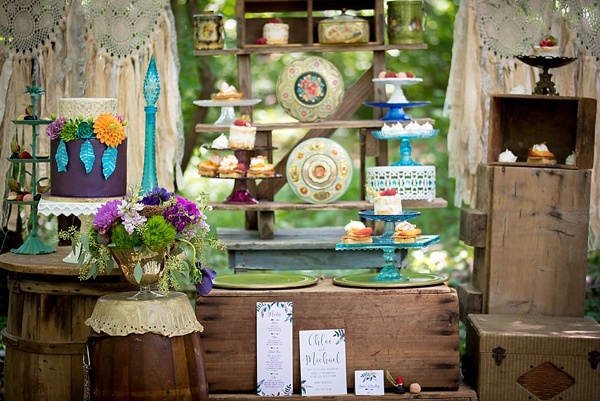 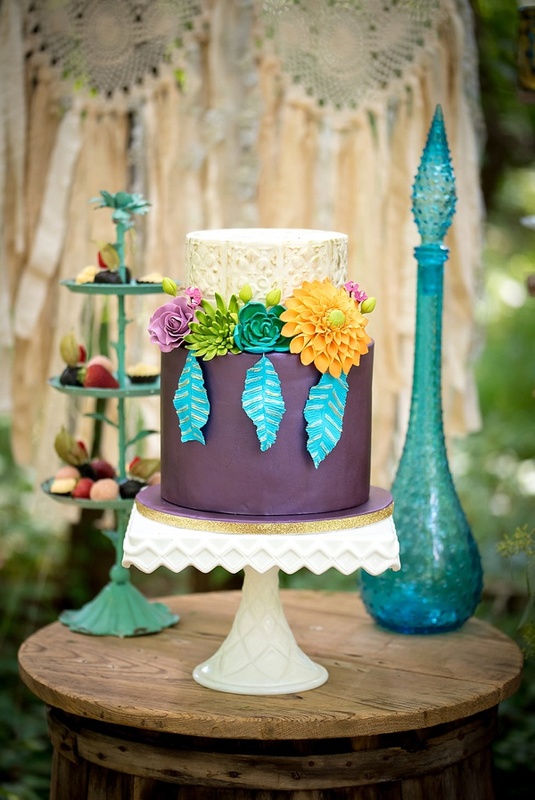 Captured by Melody Gillikin Photography and coordinated by Misty Saves the Day, the sugar-sculpted blooms by Whipped Up by Mimi gave pops of color to the eclectic furniture and decor from Chic Unique Vintage Rentals. 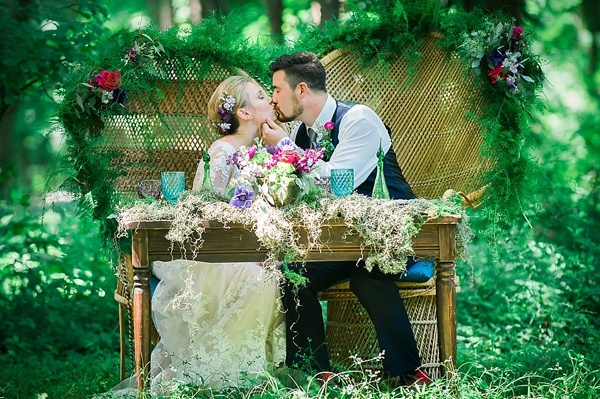 Lovely ferns, roses, and moss by Fluttering Flowers give some major flower power to large vintage wicker peacock fan chairs for the couple... and everything else just makes it one beautiful happenin' place! 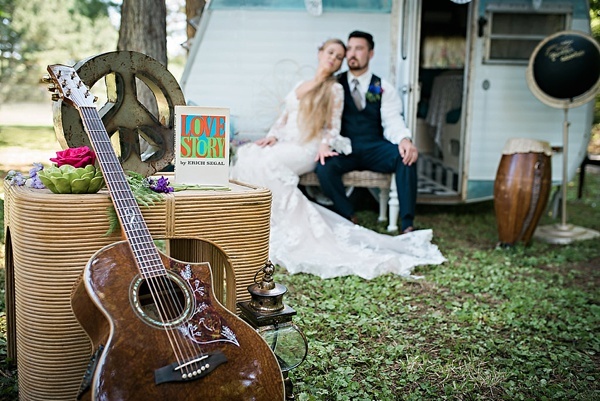 So anyone thinking about peace, love, and marriage will totally get inspired by these groovy ideas!